Today we have some very exciting news to share with you. We are working with Valve on a wireless HTC Vive prototype! It should be ready for testing later this year. We met with Valve representatives during our 5-months stay at Silicon Valley as part of Boost VC’s Tribe 7 programme. Valve’s experts are, of course, aware that wireless VR is the future of the technology, so they were more than happy to cooperate with us on the task. We’re incredibly happy the guys from Valve are so open to cooperation and improving their amazing creation! The way the headset will become wireless is through a small gadget, connected to the headset, but not wired with cables to the PC itself. Instead, the small transmitter, that may be placed in the pocket of the user, sends and receives the signal between the PC and the HTC Vive through Wi-Fi. Getting the experience to feel seamless through Wi-Fi, keeping in mind the inevitable connection delay, was a huge challenge, but we’re getting extremely close to being able to show it in action! 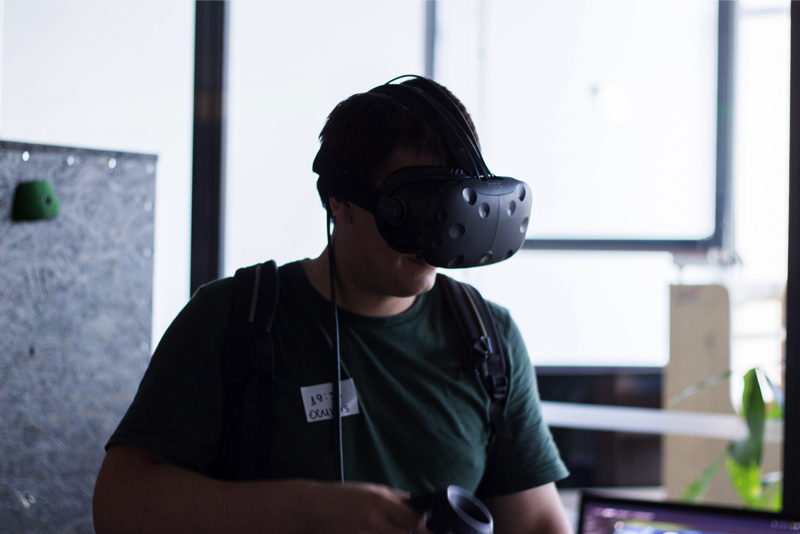 We recognized the need of a wireless HTC Vive even before the successful platform was released. After its launch we organized a VR event that was free to attend in our hometown of Sofia, Bulgaria and the 1000+ visitors fell in love with HTC Vive. However, most of them were quite disturbed by the cables in their feet or above their head. So now we and Valve are working together on bringing the perfect way to experience HTC Vive’s mind-blowing content and hardware. Let us know on Facebook if you also think HTC Vive can really use a wireless version and we’ll try to reply to each one of you!